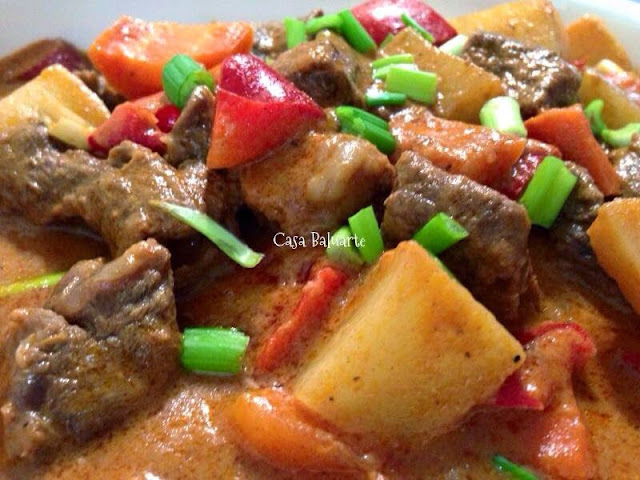 Beef Caldereta or Kalderetang Baka is a popular dish in the Philippines specially during birthdays, fiesta or any special occasion. Try this creamy recipe that is tasty and so satisfying. Make sure to have a lot of extra rice. Happy Cooking! Using a pressure cooker heat cooking oil in medium high heat. Add the meat and saute till golden brown. Season with ground pepper and soy sauce. Add the water and boil till beef is fully done. Add the tomato sauce and pineapple juice. Add the nestle cream and stir very well. Season with sugar and more salt if needed. Start adding the vegetables starting with carrots, potato and bell peppers. Simmer for few more minutes or till the vegetables are fully cooked. Remove from the heat, transfer to a serving dish and garnish with some green onions. 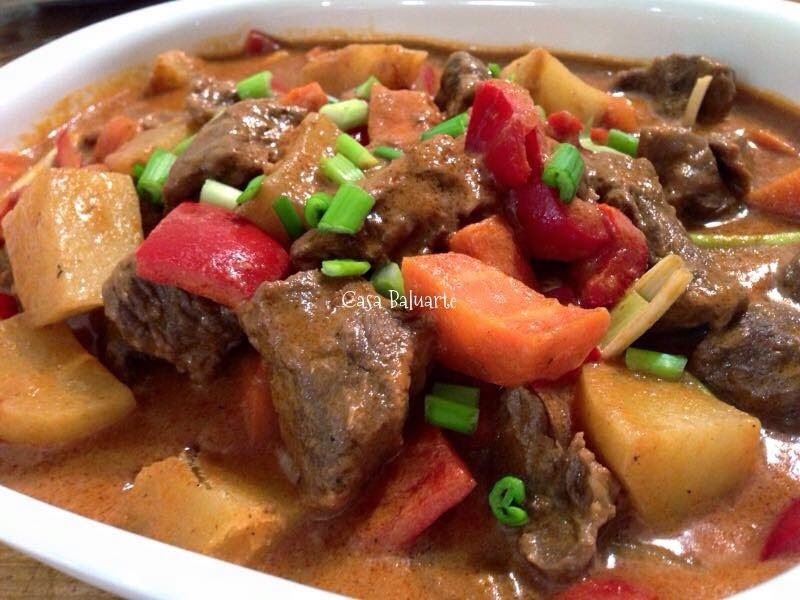 Serve with lots of white rice and enjoy!